RustyLogic blog: RedDot SEO (Part 1) - Open Text Web Solutions Usergroup e.V. SEO is important for commercial websites and that's a given. As for local government (where I work) it has never been seen as quite so relevant. The rather blunt reasoning being that the public don't get a choice in which council they use, it's a captive audience so why bother? One thing is for certain, a users first view of your site (whatever its intended audience) is often not your homepage (therefore ignoring the exceptional navigation you have implemented), it's generally via search engine results. This is where SEO can help us all; pointing the user in the right direction before they even step foot on your site. Anyway, enough of the waffle as I'm no doubt preaching to the converted here. I decided to revisit an area I expect every RedDotter has looked into at least once, that of enforcing unique & meaningful urls. The usual first part of this is easy enough - manually define publication packages with sensible directory names; all well and good, and usually done by some kind of RedDot admin so no worries about users getting in a pickle. The second part is a bit more tricky, making sure published filenames are SEO friendly. There are already a couple of plugins available on the Solutions Exchange that will set page filenames to mirror the page headline but RedDot does not currently enable enforcement of unique filenames within a publication directory. Not an ideal situation and if a duplication occurs files are overwritten. When a page is created or renamed, set the filename to a parsed version of it (no nasty characters etc.). If a user manually sets a filename don't overwrite it with the page headline (unless the headline subsequently changes). If there is a duplciate filename in existence; prompt the user for an alternative or suggest they change the headline to something more unique. Don't let the user release the page if it contains a duplicate filename (ALA mandatory field warning). Provide a SmartTree accessible toggle to disable the functionality for individual pages. Automated as much as possible; I don't want to bother the user unless really necessary. As few RQL calls as possible within SmartEdit (Pure JS calls for any mandatory calls), I don't want the editing process slowed down. So far I have been concentrating on embedding the processing in SmartEdit page-open. I have the RQL down to one single mandatory call (I need the current filename and this is only available via RQL). I am however, having some second thoughts on this approach. Maybe it should be done as part of the workflow process? Stick with SmartEdit page processing which slows the editing process a little. Let workflow do the file naming duplication checks and reject the page to an admin for fixing if required (but they won't thank me for the extra work). As above but reject the page back to the user (unfortunately users hate workflow rejections and won't thank RedDot for not prompting them in SmartEdit before the released the page). I think I'm going to stick with the SmartEdit option and finish off the implementation next week; I can always change tact at a later date if I think it's not really working. 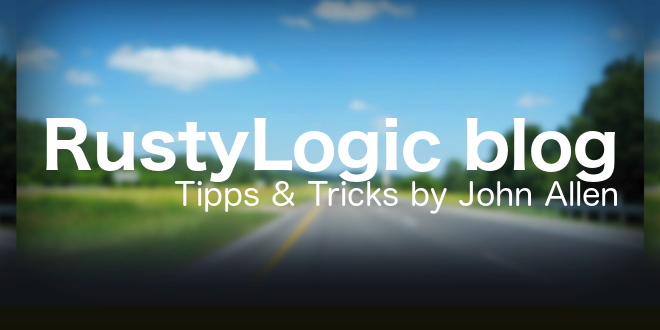 Once completed, I will explain the RQL / JS in the second part of this post and (time allowing) post a newer version of the RustyLogic RedDotNet library with the backend code you will need if you want to follow the same approach.